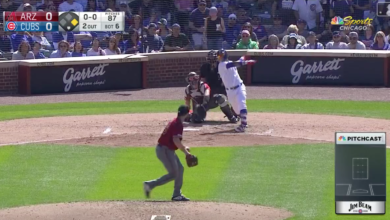 It doesn’t seem to matter what position he’s playing, Javy Báez finds a way to leave his mark. Monday night in Kansas City, Javy got the start at third base. He quickly made his presence felt with this SICK diving stop and strong throw to prevent a hit down the line. Just give all of the Gold Glove’s to Javy.